Welcome to my Friday Fashion. In the European news this week I found something interesting: Pirate Printers, it has been around for a while, but this morning was a news to me. 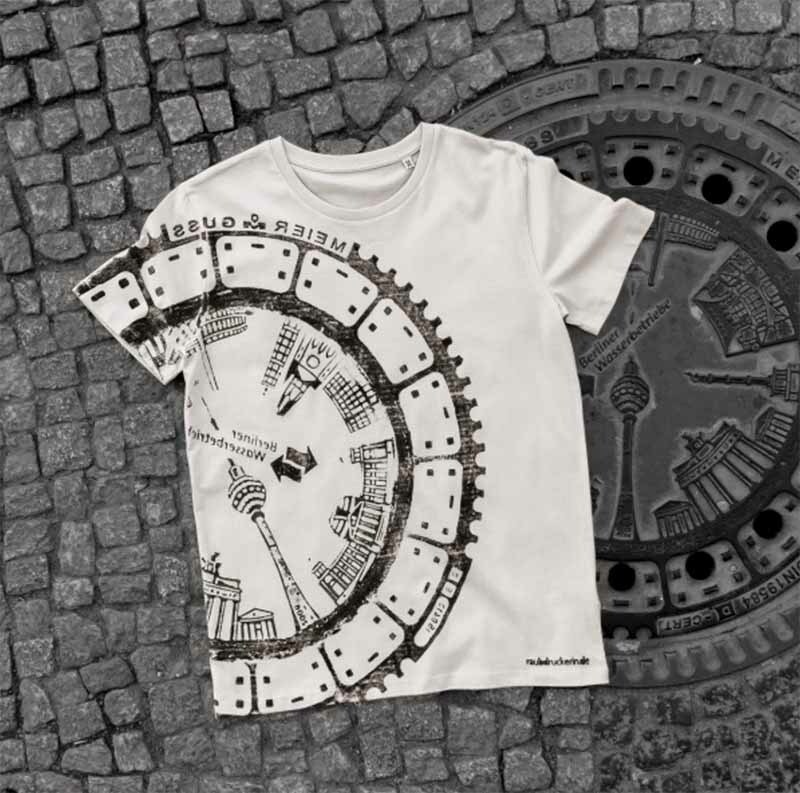 “Under Our Feet-Manhole Covers in Berlin“. Special exhibition in the photo technology department. Click the title to visit this original exhibition. 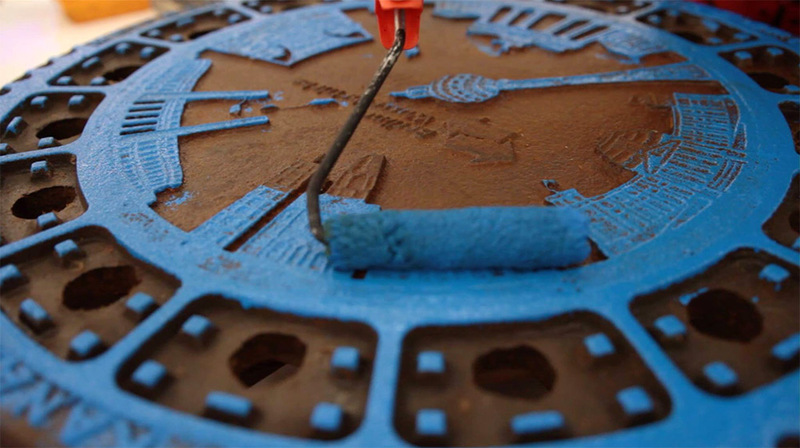 It was an exhibition of photographs depicting manhole covers by industrial designer Annett Stroetmann. 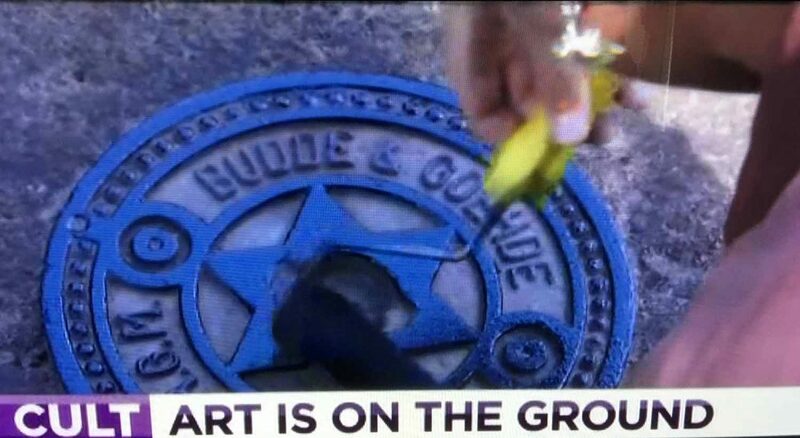 The artist has a fascination for utilities covers that are literally part of the ground beneath our feet. She revealed a facet of industrial design we usually don’t consider art, we stump on it mindlessly and ignore something that might be covering sewage or electricity. 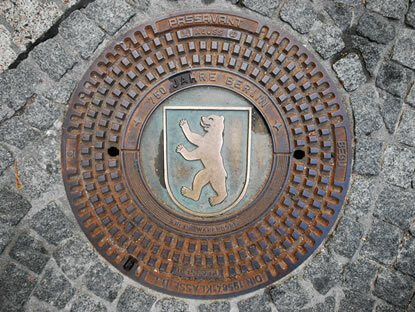 Manholes are not just square or round covers to disguise unattractive sites, they are designed to beautify sidewalks. The collective of artists extracted beauty from urban signage, as there is beauty all around us and in a way forced us to see it. 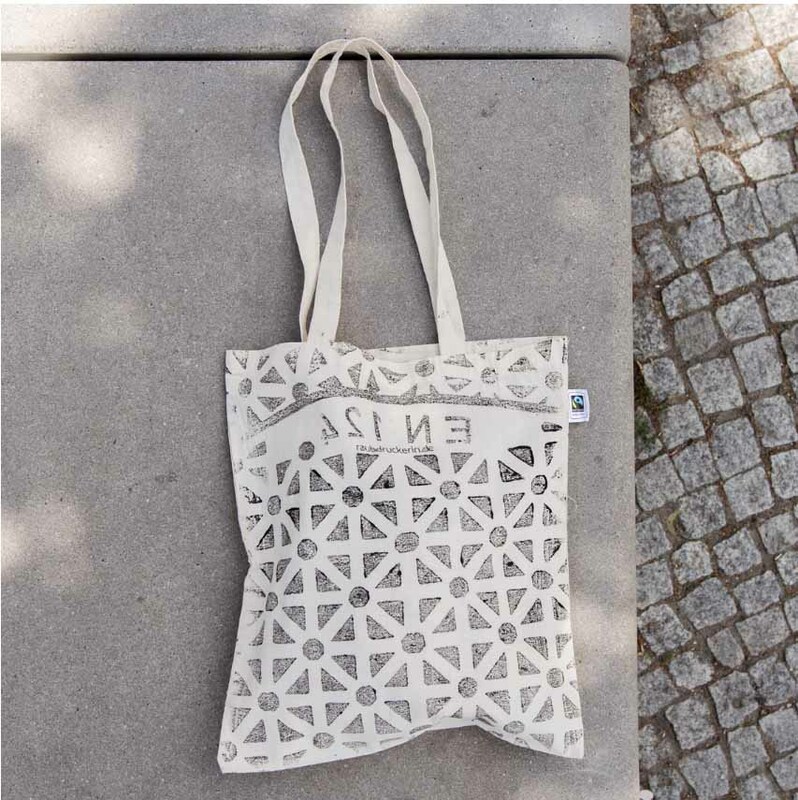 The graphic on the streets, once printed on fabric look pretty snazzy and do not look as sewage covers. Who would have imaged it and yet these young artists did.